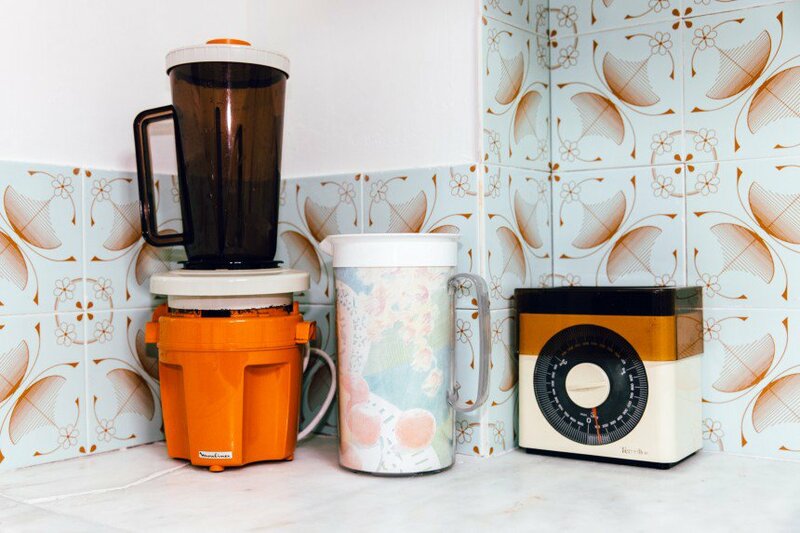 A new exhibition in Athens celebrates the 1980s in Greece, a period that today’s debt-ridden Greeks glorify as a time of social changes, reforms and the beginning of an elusive prosperity. 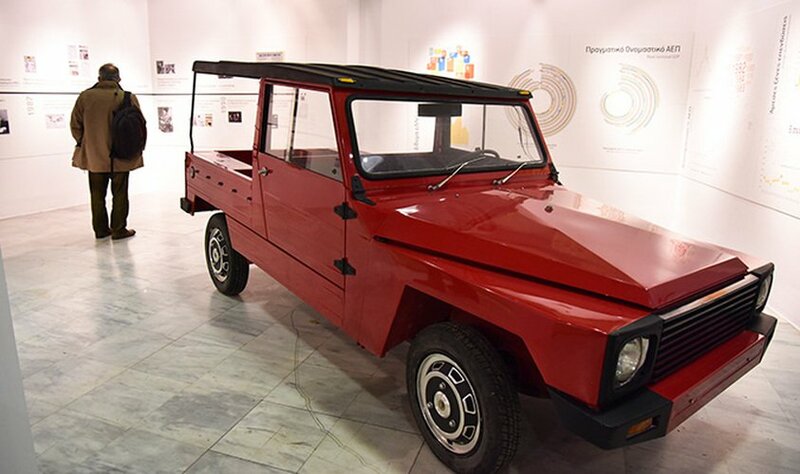 “GR80s, Greece in the Eighties at Technopolis” is the name of the exhibition at Technopolis in central Athens. It is a nostalgia show, for those who lived in the eighties and those who were born later and have an idealized view of that turbulent decade. In recession-hit Greece of 2017, it is like a journey in more joyful times. The exhibition is divided in 18 sections, each with a different theme. Themes such as social and political changes, fashion, music, economy, trends, consumption, youth culture, mass media etc. The exhibits are countless and many of them are presented in a humorous way. 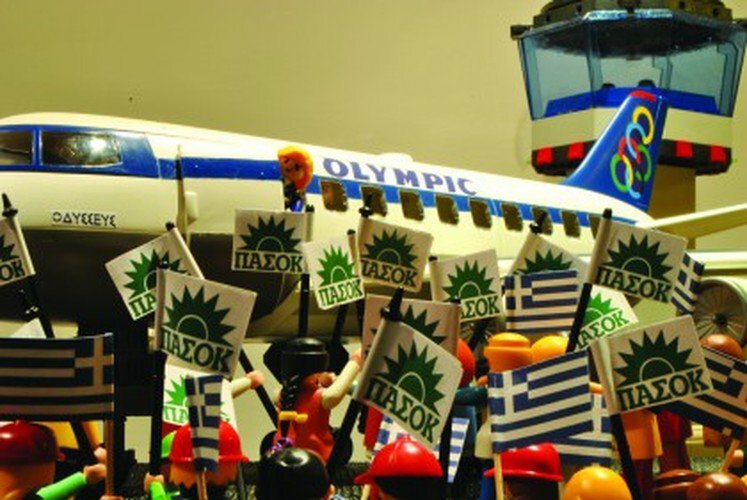 For instance, there is a structure using Playmobil toys depicting the airport arrival of then prime minister Andreas Papandreou accompanied by his air hostess mistress as a crowd of Greeks welcome him waving the PASOK flag. Or the visitor will see a room with lines of party ballots hanging like flags, showing the numerous one-off political parties that participated in elections in the 1980s. 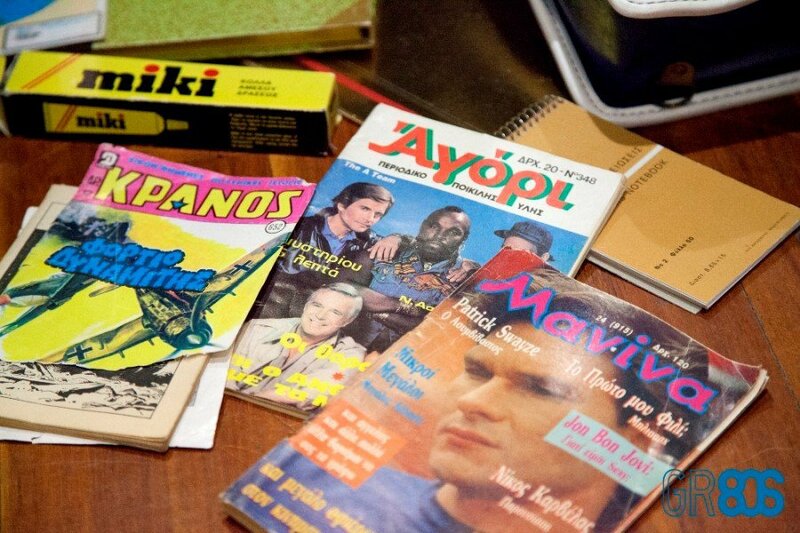 There is a big emphasis in politics as 1981 brought PASOK in power — the first socialist party to govern Greece — that made many political and social changes. Party posters and banners feature prominently, showing the obsession Greeks have with politics and their party in particular. 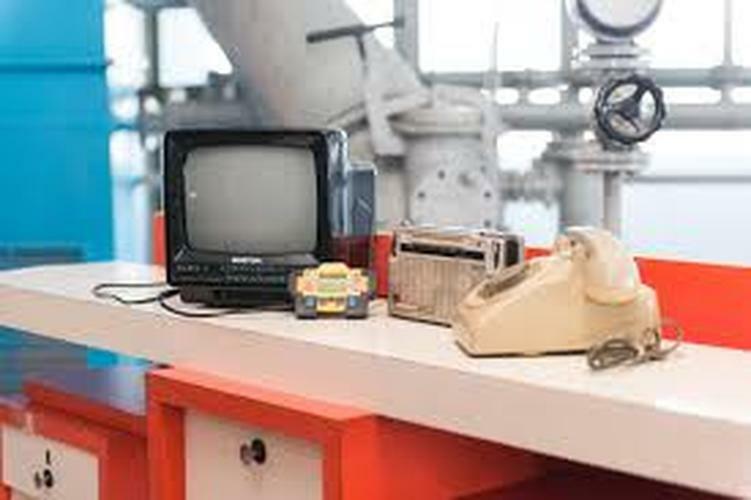 The objects exhibited are countless: Nintendos, motorbikes, the made in Greece Pony car, cassettes, boomboxes, magazines, clothes, shoes, cologne, newspapers as well as whole apartments and a hairdressing salon that were transferred and placed intact in the exhibition. There is also plenty of audiovisual presentations throughout the show. The exhibition will continue through March 12 at Technopolis, Pireos 100, Athens. Admission: 5 euros.